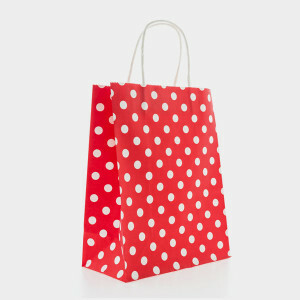 Gift bags are often appear glossy if they are made from a paper-plastic mix. This type of material can’t be recycled because the paper and plastic can’t be separated. Generally, gift bags can’t be recycled if they have ribbons or bows. If your gift bag is 100 percent paper, it is okay to recycle, but first remove all of the adornments. As long as the gift bag is in good condition, reuse it when giving someone a gift. Although they don’t last forever, sturdier gift bags can make handy storage containers for items around the house or for car trips. How much gift wrapping waste do Americans generate on a yearly basis? About two pounds per person, or 40 million pounds in total, which includes paper products used to wrap, package and decorate gifts. 38 million miles of ribbon are discarded per year, which is enough to wrap around the Earth.